How to Start a Meal Delivery Business. A meal delivery service is an inexpensive and easy business to start up. The gourmet health food take-out business has become popular in the United States. Metropolitan areas seem to be the best places to start a meal delivery service. If you live in a large city and don´t know which type of business to start, read the following information. Decide whether to deliver restaurant meals, gourmet chef-prepared meals or both. Choose your target market. A good example of a target market is corporate offices. You could provide them with a lunch delivery service Monday through Friday. Research online or look through the phone book to get a list of restaurants in your area. 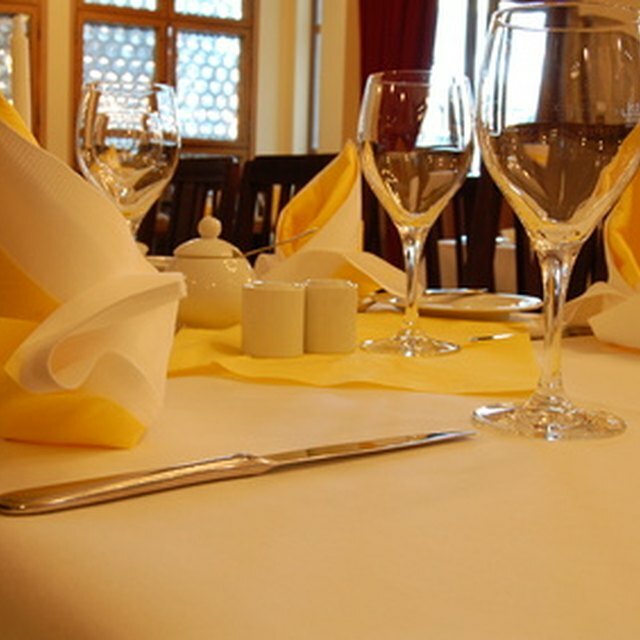 Discuss your proposal with restaurant managers. Ask for menus and price lists to place online. Agree on a commission for each meal delivered. Visit the United States Personal Chef Association website to find a personal chef to team up with who can prepare gourmet meals. Scroll down the website main page and click on the "Find a Personal Chef" link. Type in your zip code and press the ¨Search¨ button. Contact several personal chefs in your area and discuss your proposal. Ask chefs to provide you with menu and prices to place online. Add a commission to the price of each meal. Fill out all required business registration forms with city, state and federal agencies. Set up a website that allows customers to place orders online. Display menus and prices online for easy ordering. Generate a flat rate to charge customers for delivery service. Advertise the price online, on menus and on flyers. Determine the delivery area. Start off small and add area as you grow. Plot the area on a street map. Market your meal delivery business by leaving business cards, menus or flyers with customers, businesses and neighborhoods. Coordinate with the chef and restaurant to determine the best communication method ahead of time. Use fax, phone or online services. Begin to take customers' orders. Fax or phone orders to the restaurant or chef. Pick up and deliver the food to customers, then collect payment. Keep track of each order and pay restaurant and chef as agreed upon. Provide quick service with a smile. Listen to customers' requests or complaints. Meet customer demands and watch your business grow. Have a back-up vehicle in case of emergencies. Contract other drivers if the area gets too large. Have a back-up vehicle in case of emergencies. Contract other drivers if the area gets too large. United States Personal Chefs Association.